If you have ordered nine pizzas, we will not charge you for tenth one. 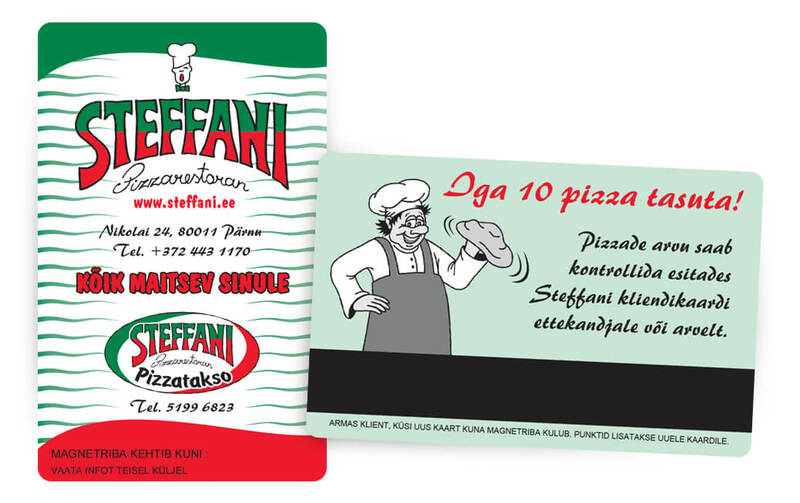 You can check your number of pizzas by presenting your customer card to the waitress or from the invoice. Submit your customer card or any other discount card before we issue the invoice! After the invoice has been issued, no discount can be calculated.